Big Allotment Challenge - I'm in! | Grow Your Own Veg Blog. Gardening and Food Blog. Big Allotment Challenge - I'm in! I am so excited to fiiiiinally be able to tell you what I got up to this past summer. Earlier this year, I was asked to take part in a gardening contest on a television series called The Big Allotment Challenge (Series 2)!!! Woohoo! 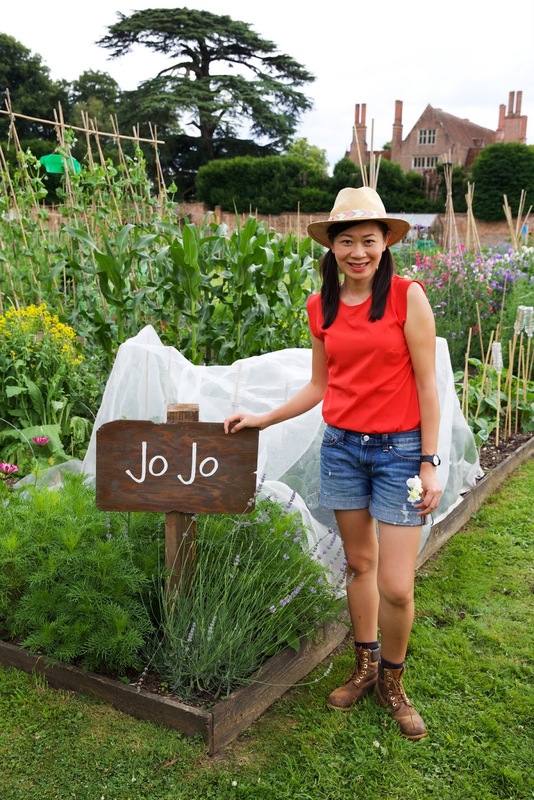 If you didn't watch the first series, it is a competition where nine gardeners are each given a plot of land (over here, that's what they call an "allotment") to grow vegetables, fruit, flowers and whatever else they fancy and then battle to be crowned the winner. Each week, they are put through a series of (gruelling) challenges where they have to present their prize winning fruit and vegetables in a "Grow" challenge, showcase their cooking and preserving skills in the "Eat" challenge and also make an award winning floral arrangement (which you aren't given any details about beforehand) in the surprise "Make" challenge. All without injuring themselves or any third parties, of course. Seriously!!??!?! Yes, that was my first reaction when I was told too. Anyway, I will say that at the time of applying, the first series had not been broadcast yet, so I was as much in the dark about the show as all the other contestants (in hindsight, probably a good thing or I may not have made it past the gate at the entrance). The other gardeners who took part came from all over the country to work on their allotments, based in a rather spectacular walled garden in Oxfordshire. Over twelve weeks, we hoed, sowed, watered, weeded and worked our water butts off to get our plants ready for show day. And now, here we are, at the point where we finally get to watch the series, which will air on BBC2 on January 2, 2015 at 9pm. I'm so happy I could share this news with you - thank you to everyone who has supported me and my blog! And I hope you enjoy the show as much as we did filming it.